Complete the online application form and send it electrically. We need your email address as most of our application process will be done through email. Employment history is also crucial as work experience is one of the requirements for application. You have to upload your current passport size photograph. Kindly note your applicant ID and NRC number, so that you can check your application form status on our site with Applicant ID and NRC number. We will send our acceptance letter to successful candidates or you can check your application form status on our site. Before Registration, assessment of computer skills will be conducted in the Registration Office. Then, you will need to make an initial payment in person, bringing along your Original Credentials and identification and six copies of current passport size photographs. Registration for the first quarter course can be made on the initial payment. You have to take at least one course/subject in each quarter. You will need to buy the text books at the time of initial payment. Any false or inaccurate information will render your application invalid. 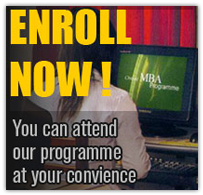 If you are ready to begin earning your degree just click here to APPLY NOW!